Former Liverpool striker John Aldridge claims current boss Jurgen Klopp has learned from arch rivals Manchester United, and their title winning ways under Sir Alex Ferguson. The Reds are currently vying for the title with Manchester City, with maximum points likely needed to give them any chance of lifting their first ever Premier League crown. 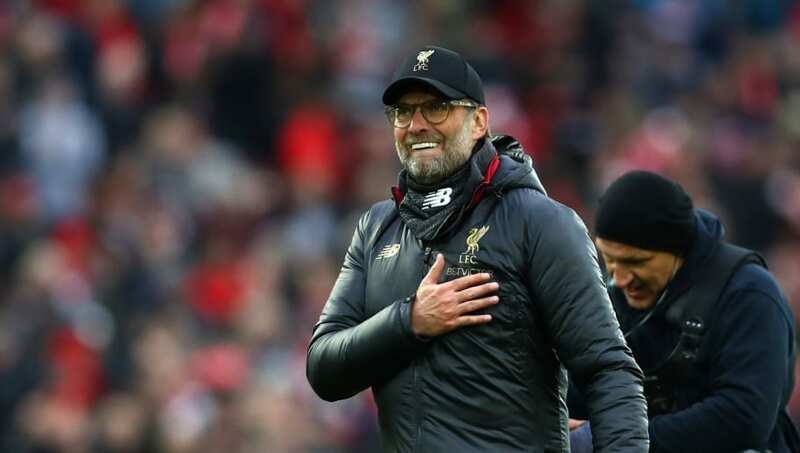 One of Liverpool's toughest obstacles between now and the end of the season is out of the way, though, with Klopp's side seeing off high flying Tottenham at Anfield last weekend - and Aldridge, writing in his column for the ​Irish Independ​ent, says the events mirror those that United experienced under Ferguson. "There was a fear factor associated with Alex Ferguson's title-winning Manchester United teams," Aldridge said. "One key aspect of their success has crept into the current Liverpool side. You could see opponents visibly cracking when United pushed for late winners in what became known as ‘Fergie Time', and that quality is now in evidence as Liverpool aim to end their long wait for a Premier League title. "There is no denying that Liverpool rode their luck to beat a Tottenham side that deserved to take a point from last Sunday's thrilling game at Anfield. However, there was a feeling inside the famous old stadium that Jurgen Klopp's side would find a way to win the game." It's not the first time this season the Reds have salvaged three points at the end of the game, and that has been the key to their success so far this season. Aldridge continued that finding a way to win when you're not playing well is the key 'nut to crack' when it comes to lifting the Premier League title. He added: "This Liverpool team have dug out so many victories in games when they have not been at their best this season and once again. Manchester City are now fully aware that this Liverpool team are not going anywhere and that pressure could be crucial as their hectic month of April heats up." Liverpool will be hoping to take the title race down to the wire, with a ​return to action against struggling Southampton at St Mary's their next challenge.